he had the basics down he realized he wanted something more. He wanted to specialize in Japanese Tattooing. 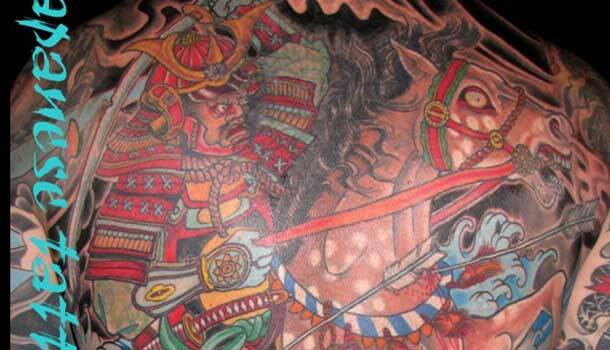 Kap draws his influences from great traditional and New traditional tattooers like Shige, and Mike Rubendall, but doesn't forget the foundations laid by Ed Hardy and the great Master Horiyoshi III. Kap likes to use strong imagery that enhaces the body's natural contour, to produce a tattoo that is bold, and dynamic. He believes that the tattoo should reflect more than just a picture, and that the image is harmonious not only in one's life, but to one's soul. Kap enjoys the quiet side of life, spending time with family, hiking, fishing, camping, and surfing. it undone shows a lack of courage. With Kap, you will be treated with respect. Respect is care. Care is devotion. Kap wants you to have a nice experience, whether it is your first tattoo, or you're on your 50th hour of your backpiece. The supplies he uses are the culmination of over 23 years of experience. 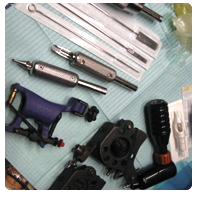 Only the highest quality materials will be used during the course of your tattoo. Strict sterilization, and cross cantamination processes are followed to ensure your safety. 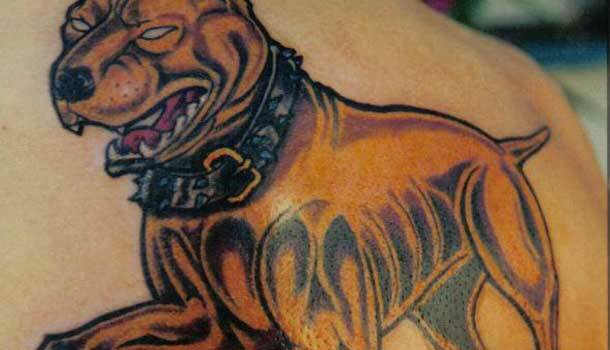 In searching for a tattoo, most people search by shop, and people who work in the shop. Some search by price. Kap believes that it is easier to posess something, than it is to struggle for it. So if all you want is to "have" a tattoo at a cheap cost, then you must bare the grief of how easily you came upon it!" 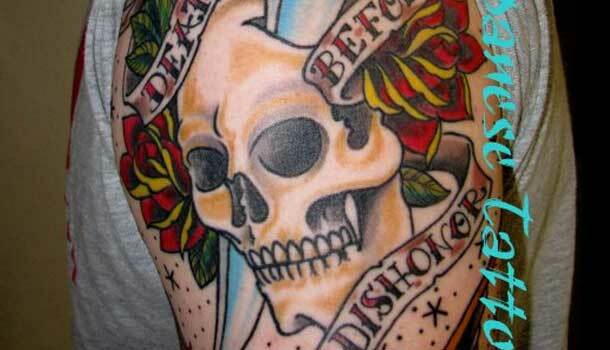 Kap is currently working at Sink or Swim Tattoo, in Arroyo Grande, California.